April showers may bring May flowers…but it’s not easy driving in a rainstorm. Decreased visibility, slippery pavement and inclement weather create a dangerous environment for driving. 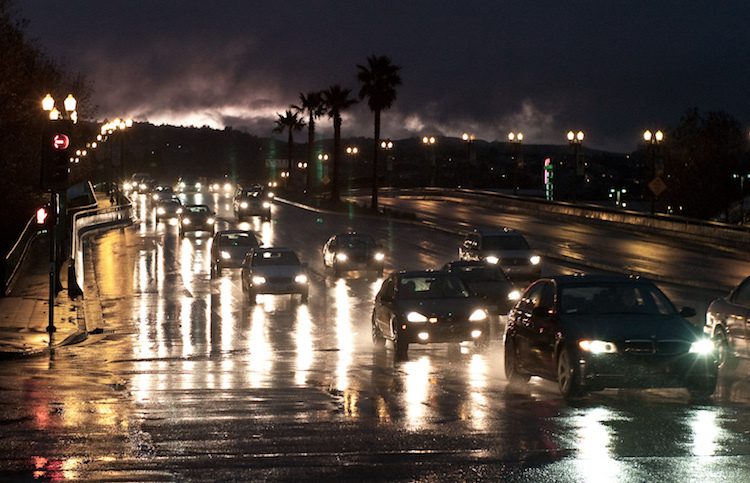 Here are some tips to prepare you for smart driving on rainy days. Keep your car weather-ready: Be prepared for the rain by keeping your car in good condition with your regular check-up with a mechanic. They’ll make sure your tire tread is long enough for tough driving conditions and that your windshield wipers are ready for the weather. Save cruise control for another day. You’ll want to have control to let off the speed immediately if you start to hydroplane. Remember what you learned in driver’s ed? Keep both hands in a firm grip on the wheel to have stronger control. Take it slow. No need to rush home in this weather. Give the vehicle in front of you some extra space, and slow your speed down to keep the vehicle in your control. Stay away from road puddles. Even after the rain, avoid those large puddles – you can’t be sure how deep they are or how slippery the pavement is. Skip the rain boots: Keep a sensible pair of shoes in the car for driving. Stiff boots can make it more difficult to move and press down quickly on the pedals. If you feel uneasy about driving in the rain, listen to your gut. Take a raincheck from your plans and stay home. Many drivers choose to stay off the roads during a snowstorm, but they often don’t see the danger of driving in a downpour. Can we recommend the Gene Kelly classic movie “Singing in the Rain” for your night in?